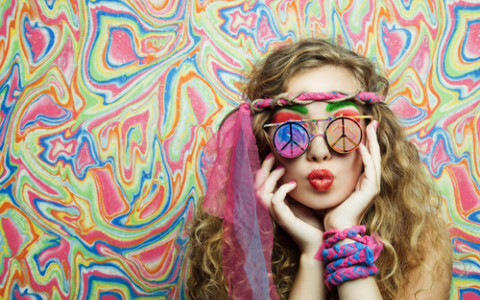 It was the era of Joplin, the Grateful Dead, Hendrix, hippies, and Haight-Ashbury. After becoming famous during the “Summer of Love” as home to the flower children, as well as the epicenter for the tuned-in and turned-on denizens of America’s counter-culture, “The Haight” evolved into one of the city’s most iconic and vibrant neighborhoods. Thousands of tourists visit annually to dine, drink shop, and explore its many unique attractions. One of the best ways to immerse yourself in the Haight’s culture and history is to sign up for a walking tour with San Francisco City Guides. The “Flower Power Walking Tour” will pair you with a savvy guide who has all the skinny on the Haight’s landmarks and history. During the tour, be sure to check out some of the more interesting venues in the ‘hood, such as the Haight Street Art Center, Goorin Bros. hat shop, and Static Vintage’s clothing and accessories. Vinyl aficionados will get into the groove at Amoeba Music and don’t miss a visit to the Alembic for deliciously crafted cocktails, or the Magnolia Gastropub and Brewery for fabulous brews and terrific pub food. 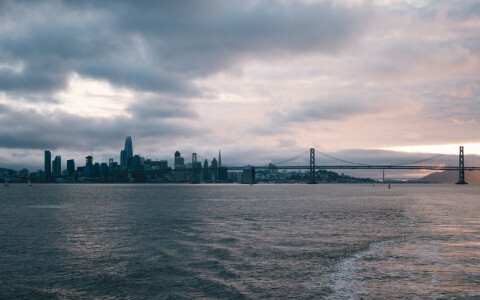 San Francisco Bay cruises are one of the best ways to see the city, with stunning views of the Golden Gate Bridge, the island of Alcatraz, the City’s shoreline, and some of the most magnificent sunsets seen on the water. Local cruise companies offer a variety of cruises to suit a myriad of tastes and interests, and most of them leave directly from the Fisherman’s Wharf area. Tour times vary with each selection, and each vessel offers both indoor and outdoor seating for optimal views, warmth, and comfort. For a gorgeous sunset sail, check out the Sunset Cruise, a luxurious tour which includes appetizers and cocktails. Or, climb aboard the hour-long Bay Cruise and learn more about the City’s history from your onboard narrator. For exquisite views of Alcatraz, Sausalito, and two famous bridges, take the Bridge to Bridge Cruise between the Oakland Bay Bridge and the Golden Gate. Curious about Alcatraz, its infamous denizens, and their escape attempts? The Alcatraz Island cruise is a fun and interesting way to go. 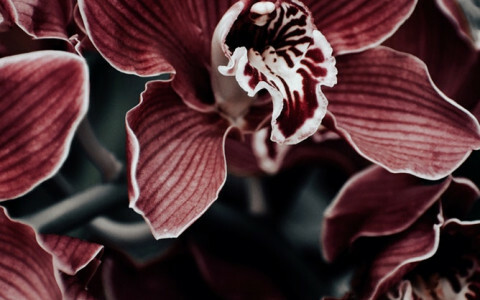 Majestic Rhododendrons and Dracula Orchids, Lipstick Plants, and White Ginger Lilies – these stunning examples of flora, and much more, are all on view at San Francisco’s Conservatory of Flowers. The conservatory offers visitors a closer look at the rare, remarkable, and often endangered plants of the earth, in addition to educating the public on the need to preserve their reduced and threatened environments. Visitors can view several different galleries and exhibits featuring a myriad of the planet’s plants and flowers. Carnivorous plants, orchids, taro, and hibiscus can be found in the Aquatic Plants Gallery, while such specimens as Rhododendrons, Impatiens, Dracula orchids, coffee berries, jasmine, tropical fruits, Staghorn plants, Flame of the Woods, and Crocodile Fern await you in the galleries of the Highland Tropics, Lowland Tropics, Potted Plants, and the West Gallery. Along with the gallery inhabitants, the Conservatory also offers special exhibits and events throughout the year. Such exhibits include “Aphrodisiacs of the Tropics,” a “Botanicals and Brews Beer Garden,” “Murder at the Conservatory,” “Gala under Glass: The Dracula Ball,” and “Night Bloom,” a five-week light and sound exhibition encompassing all five galleries. For those to want to learn more about San Francisco, one of the best ways to get the inside scoop is with a tour. You’ll enjoy all the sights from a comfy seat in a luxurious motor coach, while a guide gives you the skinny on many of the city’s neighborhoods and attractions. Tours vary according to type and length, but we have listed a few here for your consideration. First, check out the San Francisco Double Decker Bus Night Tour. This two-hour-long tour features stunning night views of downtown, along with live narration, and includes the Palace of Fine Arts, Chinatown, Union Square, North Beach, the Embarcadero, Nob Hill, Grace Cathedral, Cable Cars, and the beautiful Bay Bridge lights. Or, create your own tour agenda with a Hop-on, Hop-off Tour. These tours offer many from which to choose and even include jaunts to the Muir Woods, the California Coastal Redwoods, the Sonoma Wine country, and even a trip to the San Francisco Dungeon. Lastly, try a PopWheel Tour. You’ll learn to ride this mini-Segway and then follow your guide as you explore the Dogpatch and ATT neighborhoods. Have fun! One of the Bay Area’s finest companies for theatrical entertainment is SHN (Shorenstein Hays Nederlander). Known for their straight-from-Broadway productions and unique events, the company offers stellar live entertainment at three of the City’s beautifully-restored and distinguished venues. The 2,200-seat SHN Orpheum Theatre on Market Street was named as a San Francisco Landmark in 1977, and, despite an external facelift in 2016, maintains its historical integrity. The 2,200-seat SHN Golden Gate Theatre on Taylor Street, originally a vaudeville and movie theater, has been restored to its original beauty and is listed on the National Register of Historic Places. Davies Symphony Hall on Van Ness Avenue is the home of the San Francisco Symphony and was specially designed for the acoustics to flow to the top of the auditorium, resulting in a sound that is diffused throughout. The incredible lineup of shows include such Broadway smash hits as “A Bronx Tale,” “Dear Evan Hansen,” “Come From Away,” “Hello Dolly,” “National Geographic: Symphony for Our World,” “Mary Poppins,” “Mean Girls,” “Anastasia,” and many more. One-of-a-kind designed and handmade items, artists, antiques, vintage collectibles, and hundreds of curated vendors - all await you each month at TreasureFest. Formerly Treasure Island Flea, this savvy urban market serves over 15,000 shoppers, collectors, and lookie-loos monthly, and also features attractive added attractions such as adult libations (including wine, beer, and seasonal cocktails), dozens of the Bay Area’s best food trucks, games for the kids, workshops, and the best live local music around. This two-day flea market is always held the last weekend of every month, except for December. Located on east side of Treasure Island, facing the East Bay, TreasureFest is accessible via the Muni 108, is dog-friendly, and often hosts face painters, stilt walkers, scavenger hunts, and carnival games. Each month focuses on a specific theme, such as Valentine’s Day, Mardi Gras, Easter, Mother’s Day, the Summer of Love, the Dog Days of Summer, Octoberfest, Halloween, and more. November’s theme of Snowvember is always holiday-inspired, and is one of the most popular shopping events for TreasureFesters. So, whether you come for the shopping, the food and drink, the music, or just for the fun, we hope you’ll join us for your own TreasureFest experience. With its distinct Art Deco style, Coit Tower is also known as the Coit Memorial Tower, in honor of volunteer firemen who perished in the City’s five devastating fires. The tower’s interior is home to some of San Francisco’s most famous artwork: fabulous fresco murals, painted during the Depression era and in the style of American Social Realism. Twenty-seven on-site artists and their assistants labored on the murals, including two that were completed off-site and installed afterward. Outstanding performances, brilliant vocal stylings, weekend galas, “Opera in the Park,” exciting new productions, the musical perfection of the San Francisco Opera Orchestra, and a one-time-only concert by the “King of Opera” himself, Placido Domingo – it’s time to discover the San Francisco Opera. Every year, the War Memorial Opera House hosts thousands of opera fans who come to view exquisite productions created and put together by one of the country’s finest opera companies. Some of the opera world’s most famous names are always represented here; for example, Puccini’s “Tosca” is only one of the new season’s spectaculars, just as Donizetti’s “Roberto Devereaux” is a returning masterpiece. Bizet’s “Carmen,” Handel’s “Orlando,” and Dvorak’s “Rusalka” will also grace the stage for the upcoming season, along with “It’s a Wonderful Life,” a brand-new opera based on the beloved holiday movie by composer Jake Heggie and librettist Gene Scheer. For more information, or to purchase tickets, click here. San Francisco offers major league sports, world-class cultural events, and some of the most beautiful scenery in the world. However, even though the City is located on the coast, many visitors and even some locals don’t realize that two of the state’s award-winning beaches are only about 90 minutes away, and with our wonderfully temperate climate, it’s almost always a good time to hit the beach! The following beaches were voted #7 and #8 respectively in USA Today’s 10 Best California Beaches category: Natural Bridges State Beach in Santa Cruz and McClures Beach in Marin County. Natural Bridges State Beach is famous for its spectacular coastal scenery and for terrific wildlife spotting ops, you can scope out everything from migrating whales to seals and shorebirds. Partially surrounded by tall cliffs, McClures Beach is small and quiet and lies within the protected borders of Point Reyes National Seashore. It’s known for some pretty intense waves that are ideal for surfing. So, whether you pack a picnic during the warm months, or dress warmly for a chilly day of wildlife spotting, it’s always a good time to hit the beach. Set sail on a variety of exciting Bay cruises, discover thousands of sea creatures, ride the iconic carousel, and get up close and personal with San Francisco’s famous sea lions. Experience the best in live entertainment at the Entrance Plaza or the Smartwater Stage, and thrill to the combination of a rollercoaster and 3-D laser-blasting at 7D Experience. Or, test your skills at their Laser Maze Challenge or Beam Busters. A variety of Bay cruises await you at all times of the year. Whether it’s the excitement of a seasonal whale cruise, the dazzling display of lighted city landmarks on a romantic evening cruise, or a sightseeing tour around the bay, you’ll find a cruise option for every taste. Be sure to check out the Sea Lion Center, as well as the Aquarium of the Bay. Also, Pier 39 hosts dozens of festivals and celebrations throughout the seasons, such as the annual Wine Tasting on the Bay, and one of the country’s most impressive fireworks displays. For more information about Pier 39’s attractions and events, click here. San Francisco and the Bay Area have a lot to offer sports fans. There are several first-rate major league sports franchises, along with an abundance of additional professional and college sports teams. Fans can enjoy exciting games of football, baseball, basketball, ice hockey, and soccer at almost any time of year. Both the San Francisco 49ers and the Oakland Raiders have been entertaining football fans for over 50 years now. Ice hockey fans cool off their sports fever at the San Jose Sharks games, and the savvy soccer plays by the San Jose Earthquakes bring new meaning to the game. Oakland’s three-time-NBA-final winners the Golden State Warriors are scheduled to play the 2019–20 NBA season in conjunction with the opening of the new Chase Center in the Mission Bay district. Additionally, both the San Francisco Giants and the Oakland A’s are two of the area’s finest baseball teams, with the Giants as record holders of eight World Series titles, and the A’s boasting nine of them. For tickets to all of San Francisco’s major sporting events, click here. From its public art installations, an impressive waterfall noted as the largest fountain on the West Coast, a Martin Luther King, Jr. Memorial, and an abundance of green spaces for cultural events and lounging park-goers, the Yerba Buena Gardens consists of two full blocks of public parks. Nestled between Third and Fourth streets and Mission and Folsom Streets in downtown San Francisco, the Gardens are a paradigm of mixed-use development and received the Gold Medal of the Rudy Bruner Award for Urban Excellence in 1999. Explore the Sister Cities Garden, with plantings that represent each of our sister cities, check out the Yerba Buena Center for the Arts, and enjoy a limited view of the City’s downtown skyline while riding the Yerba Buena Carousel. Museums are only steps away, including the Children’s Creativity Museum, along with an ice skating rink and a bowling alley. When planning a visit, be sure to keep in mind that the Yerba Buena Gardens Festival occurs annually from May to October, with free programming that includes music, dance, and theater. For more information, click here. An enchanting five-story pagoda, a fascinating Dwarf Tree Collection, a relaxing Zen garden, stone lanterns, an arched drum bridge, colorful Koi ponds, cherry blossoms in the spring, and much more all await you at San Francisco’s Japanese Tea Garden. From the moment you step foot inside the magnificent entrance gate, you’ll find yourself in one of the most lovely and tranquil places in the city. Built in 1894, it also holds the distinction of being the oldest Japanese Tea Garden in the country. Located on five acres on the eastern side of Golden Gate Park, it has been carefully tended-to and landscaped over the years, to both develop and maintain an atmosphere of calm and quiet beauty. Be sure to visit the Jack Hirose Teahouse, located in the center of the Garden. Order teas, soups, sandwiches, Green Tea Cheesecake, and more, all served family-style at a custom-designed irori (a farmhouse-style table). Also, don’t forget to stop by the gift shop for a variety of green teas, sake sets, and a box of Mr. Hagiwara’s famous fortune cookies. For more information, email: info@japaneseteagardensf.com or click here. Where can you visit a fortune cookie factory, a Buddhist temple, a medicinal herb shop, and enjoy a fabulous 10-course Dim Sum lunch, all in just a few hours? The answer is San Francisco’s Chinatown – an exciting adventure only minutes away! Feel free to wander around and explore at your leisure, but, if you want the inside scoop from those in the know, it’s best to opt for one of the many guided tours available. One good option is the free walking tour offered by the San Francisco Public Library. All the guides are experienced and knowledgeable volunteers, and will lead the way through herb merchants and back alleys, temples and dim sum shops. Along the way, you’ll pick up a few stories and pick up a bit of rich history about the oldest Chinatown in the nation. To get the most from your tour, wear comfortable shoes, layers for warmth in chilly weather, and don’t forget that raincoat or umbrella. Also, be sure you are fit to walk for the duration of the tour. For details about this and other walking tours, click here. For culture aficionados, the theater, the opera, and the ballet are often considered the divine trinity of the performing arts, and there is no more highly-regarded ballet company than the San Francisco Ballet. From their exciting opening night gala, to the beloved annual holiday performance of “Nutcracker,” and the thrilling eight additional performances that make up the remaining Repertory Season, the company is never delivers less than avant-garde 21st-century dance. The 2018 season promises to continue the tradition with performances of “The Sleeping Beauty,” featuring Helgi Tomasson’s brilliant choreography set to Tchaikovsky’s memorable score. The Repertory performances also include “Distinctly SF Ballet,” “Robbins: Ballet and Broadway,” The National Ballet of Canada: Nijinsky,” “Bright Fast Cool Blue,” and “Frankenstein,” a breathtaking combination of a masterful score, magnificent sets and costumes, and inspired choreography. This was one of last year’s sellouts! For performance schedules and tickets, call (415) 865 2000, email tickets@sfballet.org, or click here. Vodka and classic gins were well known as specialties of Sonoma County’s only all-female-staffed, grain-to-grass distillery known as Spirit Works. However, since the distillery was founded in 2012, chief distiller Ashby Marshall and her crack team of whiskey aficionados have also been focusing on whiskey production. Their efforts were rewarded in 2015, when an inaugural rye that had been aged for two years in American White Oak Barrels was introduced to the public. The distillery also offers a straight whiskey made exclusively from organic, Hard Red Winter Wheat grown in California. The identical wheat is also used in their vodkas and gins. Spirit Works makes and bottles vodka, gin, barrel gin, sloe gin, barrel reserve sloe gin, straight rye whiskey, and straight wheat whiskey. Experience them all for yourself with a visit to the distillery's tasting room in Sebastopol in Sonoma County, less than two hours from San Francisco. Bottle sales, bar ware, and cocktail books are also available. For information about tours, tastings or private events, call (707) 634-4793, or email: tastingroom@spiritworksdistillery.com. Also, check out the distillery online here. From its humble beginnings as a port named Yerba Buena Cove, the Embarcadero district has long been one of the primary reasons for the prosperity and growth enjoyed by the city and the region, mainly due to shipping and public travel. The district features an eclectic mix of Late Gothic Revival, Mission, Spanish Colonial Revival, Late 19th and 20th Century Revivals, Italian Renaissance, and Beaux-Arts, along with the utilitarian structures of the port areas. Highlights of the district include the Ferry Building, the Exploratorium, Pier 14, Pier 39, and the Embarcadero Center. 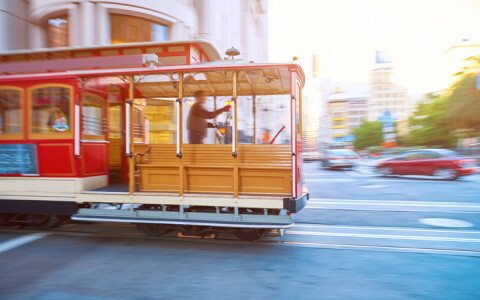 Clanging bells, singing cables, and the thrill of riding outside the car with the wind in your face – the cable car has become the traditional symbol of San Francisco transportation as well as part of its culture. When Andrew Hallidie tested the first cable car in 1873, it’s doubtful he was aware of just how popular his idea for a cable-driven rail system would become. Now, almost 150 years later, these iconic cars cross the city many times a day carrying residents and visitors alike on regularly scheduled routes. For those who would like to learn more about cable cars, a visit to the Cable Car Museum is a must! This non-profit educational museum was established in 1974, and is operated by the Friends of the Cable Car Museum. From a deck overlooking the car barn, visitors can see the winding wheels that pull the cables and their enormous engines. Downstairs is a viewing area where the large sheaves and cable lines that enter the building via a channel under the street can be seen. Also on display are three 1870s cable cars, additional mechanical devices, and many historic photos. A gift store offers cable car-related books, clothing, cards, memorabilia, and genuine cable car bells. Admission is free. For more information, call (415) 474-1887, or click here. With the increasing popularity of On Demand and streaming sites, many of us are opting out of going out. We like to come back to the room, order a movie or pop in a DVD, and watch in comfort and privacy. This is often just what we need, but it usually means we are trading some picture and sound quality in addition to the “movie theater experience,” as many of the country’s great old movie houses are gone with the wind. Luckily, several of the San Francisco’s most impressive film venues are still operational, and remain some of the best places to catch a film. The Castro Theater at 429 Castro Street is not only one of the most beautiful theaters in the U.S., but also hosts some of the world’s most prestigious film festivals. The Landmark Theaters Embarcadero Center is a mall cinema, but their screens, seating, and programming choices are film-school preferred. The Sundance Kabuki in Japantown is known for both art-house flicks and blockbusters, while The Roxie and The Little Roxie are known for cult classics, along with hard-to-find releases. The next time you’re in the city and in the mood for a movie, be sure to visit one of these great theaters.